First, before we go into the recipe, I wanted to share my method of making pumpkin purée. The Pioneer Woman uses a baking method but I just boil the pumpkin which, to me, is faster and easier. However, it may not have as concentrated of a flavor as the baked method. Still, the pumpkin chunks in the muffins should make up for it. 1. Cut the pumpkin into half then into quarters. 2. Remove the seeds and scoop out the stringy innards. 3. Turn the pumpkin over and remove the skin by carving it off. 4. Cut the pumpkin into large chunks. 5. Bring a large pot of water to a boil then add the pumpkin chunks. 6. 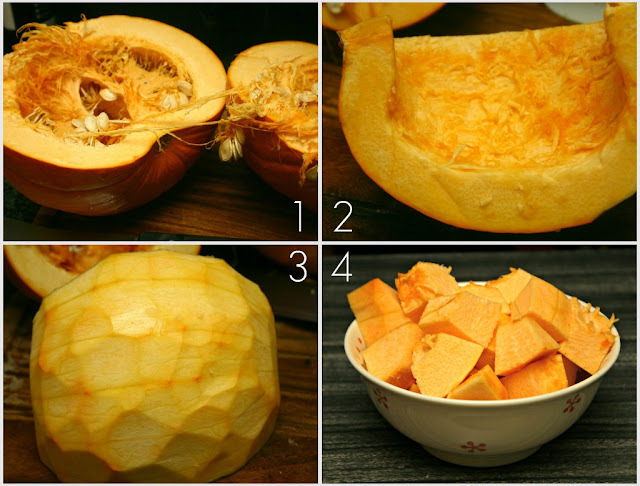 Boil the pumpkin for abut 25 minutes or until they become soft and fork tender. 7. Drain the pumpkin then add them to a food processor. Puree until fine. 8. Add the puree to a fine mesh sieve and allow excess water to drain for about 20 to 30 minutes. 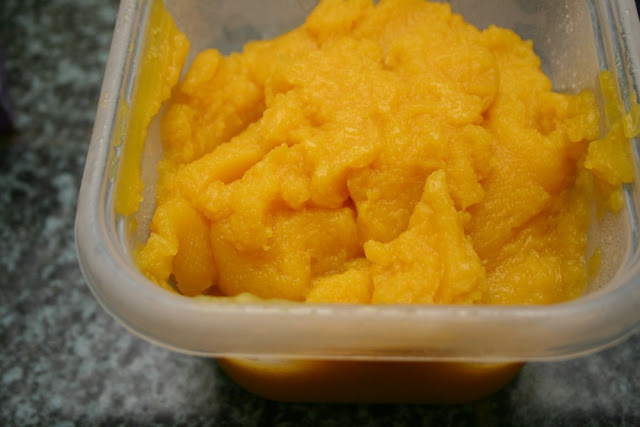 The pumpkin puree is now ready to be used in pies, soups, and the pumpkin spice muffins. Adapted from The Pioneer Woman. Makes about 12 muffins. Melt 1 tbsp. butter in a small frying pan then add the diced pumpkin. Saute for a few minutes until the pumpkin has soften a little. Remove from heat and allow to cool. Sift the flour, sugar, baking powder, cinnamon, ginger, nutmeg, and salt in a large mixing bowl. Cut in the butter with two knives or a pastry blender until it is fully incorporated. You can also use your hands to blend the butter into the flour mixture until it becomes crumbly. 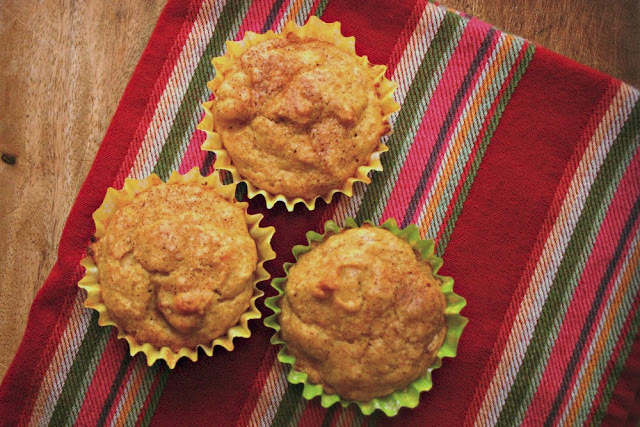 In a separate bowl, mix the pumpkin puree, evaporated milk, egg, and vanilla extract. Pour the pumpkin mixture into the flour mixture. 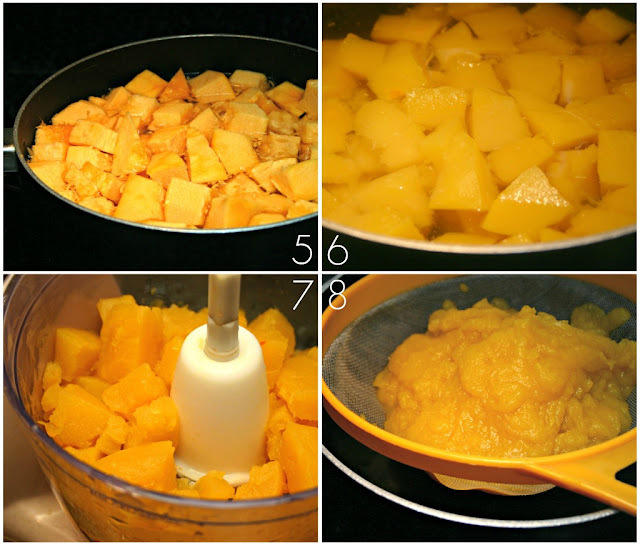 Add the diced pumpkin and fold gently until mixture is just combined. 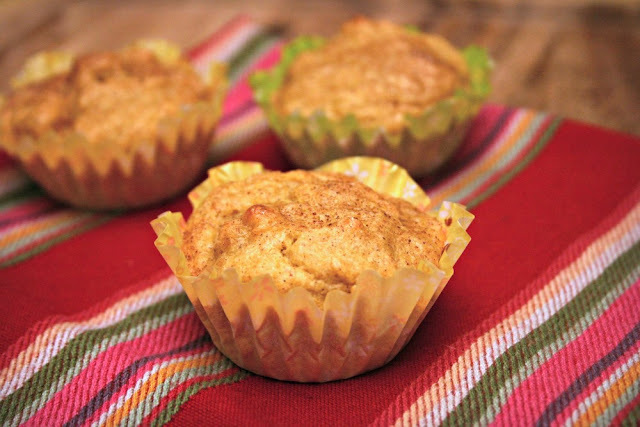 Pour into a muffin pan with liners. If you're not using liners, make sure you grease the muffin pan. Fill each one about 2/3 of the way. Mix the topping ingredients together in a small bowl. Sprinkle the topping mixture over each unbaked muffin. Bake for 25 minutes. Allow to cool in the pan for 15 minutes, then transfer them to a cooling rack. 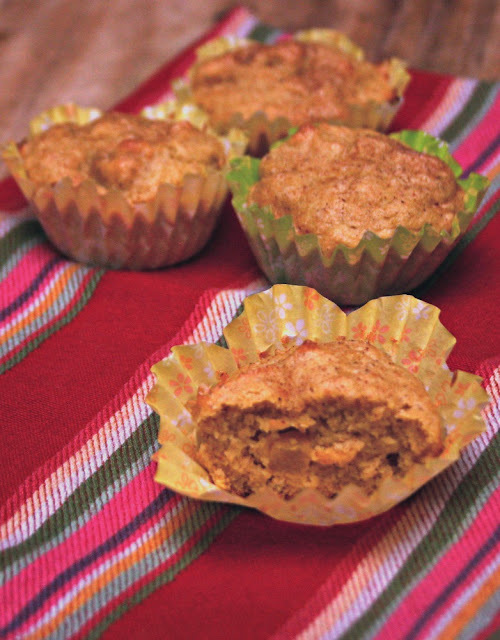 Pumpkin Spice Muffins -- excellent with coffee in the morning!